Since 1980, April has been designated as Occupational Therapy Month in the United States by the American Occupational Therapy Association (AOTA.) 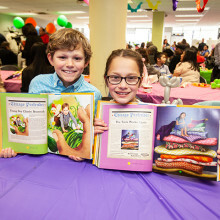 The focus of this month-long celebration is to recognize the positive impact occupational therapy can have in the lives of people with disabilities or who have other health conditions. I spoke with The Chicago Lighthouse’s very own Laura Hayes, Associate Director of Occupational Therapy. Laura gave me an overview of how occupational therapy helps people who are blind or visually impaired lead more independent lives. Simply put, occupational therapy helps people with disabilities or who have other health conditions regain the ability to do activities of daily living. Some of the conditions that might require occupational therapy include stroke, autism, mental health disorders, and visual impairments, among others. 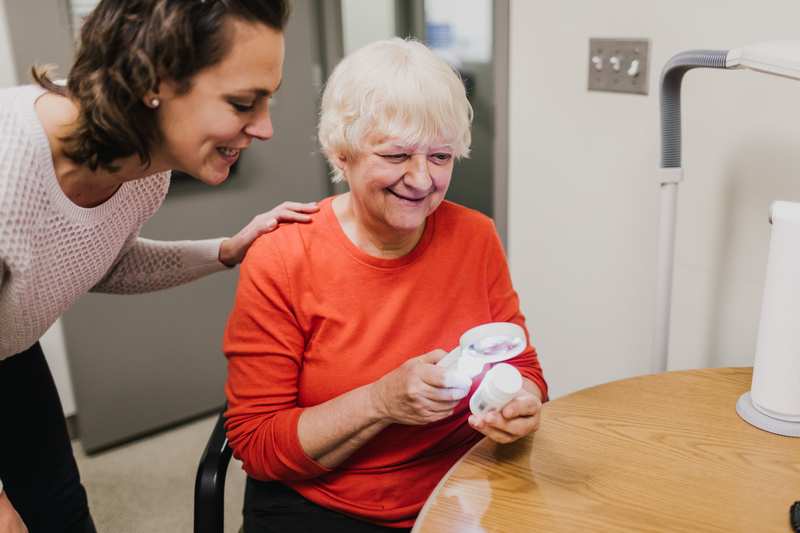 Occupational therapists work one-on-one with each patient to learn their specific needs and subsequently develop a plan to help them achieve individual goals. Therapists work with patients of all ages and in a variety of settings. How does occupational therapy help a person who is blind or visually impaired? For patients who are blind or visually impaired, the primary focus of occupational therapy is to teach them adaptive or compensatory strategies to help them cope with vision loss. This can include teaching patients how to utilize their other senses, and well as providing instruction on how to use different adaptive devices. While occupational therapy cannot restore a person’s eyesight, it can help them work effectively with their remaining vision. 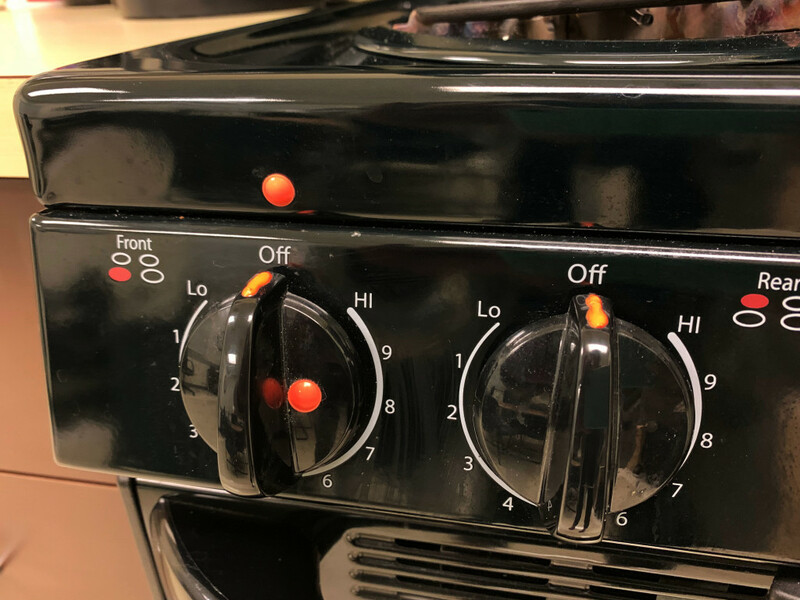 For example, a person who is having major difficulty seeing the buttons on a microwave or markers on a stove can benefit from adding Bump Dots (pictured above) to the numbers and other buttons. These are small stickers that serve as tactile markings for hard to find buttons. This simple but important adaptation can help someone heat up food independently. 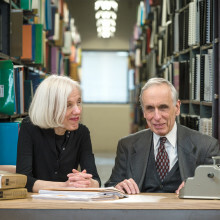 Other adaptive devices may include magnifiers, special reading glasses, and software that can enlarge text on the computer screen. 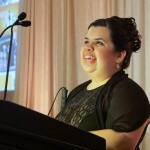 How can someone receive occupational therapy at The Chicago Lighthouse? Typically, patients first undergo an evaluation by one of our low vision optometrists at The Lighthouse’s Forsythe Center for Comprehensive Vision Care. This assessment helps determine if occupational therapy (or other services) would be beneficial to the patient. The occupational therapist will then begin working individually with the patient to determine the best course of action. For Laura, working as an occupational therapist with patients who are blind or visually impaired has been a rewarding experience. She first learned about The Lighthouse after seeing a job posting for an occupational therapist. After researching the organization and networking with other professionals in the field, she decided this position was the right fit for her. Eight years later, Laura continues to love the opportunity she has of helping others on a daily basis. “That feeling of being able to help someone along their journey is really rewarding for me,” Laura says. This is especially true, because patients were often unaware about all the help and resources available to individuals with vision loss prior to receiving occupational therapy. For more information about occupational therapy and the services available through The Lighthouse’s Forsythe Center for Comprehensive Vision Care, you can visit this link or call 312-997-3686. You can also purchase a variety of assistive devices and technologies at our Tools for Living Store by visiting www.lighthousetoolsforliving.com. Have you or a loved one received occupational therapy? 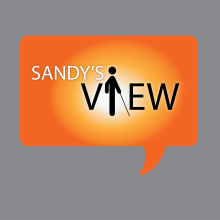 Please share your experience by commenting or sending an email to sandysview@chicagolighthouse.org.